Video game movies are rarely loved by the critics, as a matter of fact most have turned out to be not that great, even if quite a few were box office hits. 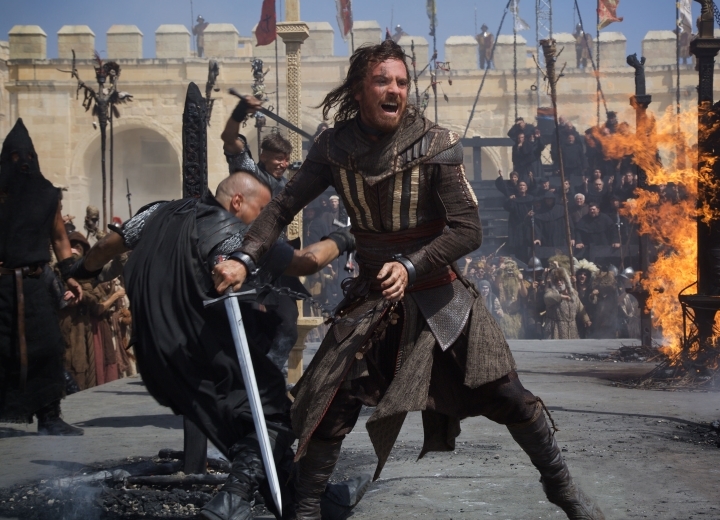 But now Ubisoft is trying to change that with their upcoming Assassin’s Creed movie, and judging by the latest stills it looks like this could be quite an epic film. The Assassin’s Creed movie stars German-born actor Michael Fassbender, who was last seen in the Steve Jobs movie playing the visionary Apple CEO who passed away in 2011, and Marion Cotillard, who is definitely one of the most glamorous female Hollywood stars of our time. And the film will likely not only benefit from the all-star cast, but also from the fact that it is being made by Ubisoft’s own motion picture studio, meaning that the company behind the game has creative control and will hopefully produce a movie that does their world-conquering Assassin’s Creed series of video games justice. The movie’s plot will likely follow that of the games, with the bitter feud between the Assassin order and the Templars taking center stage. Both sides will likely be hunting for the Apple of Eden, a mysterious and powerful artefact seen in the video games, that can even change the course of history. The Animus is likely to feature heavily too, the high-tech machine that lets Assassin’s Creed protagonists relive the memories of their ancestors. 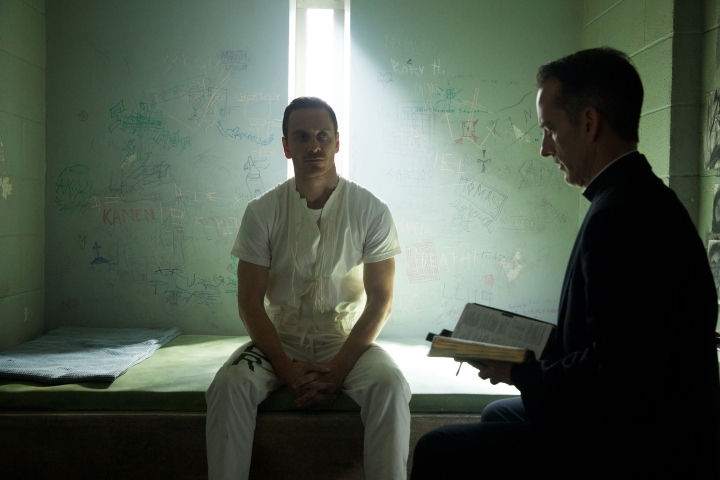 In this case Michael Fassbender’s character Callum Lynch will be exploring the memories of his ancestor Aguilar, a 15th century Spanish member of the Assassin order. And one frame of those released by Ubisoft on their Ubiblog shows Aguilar sword fighting in a castle, and he is also seen with a fellow female Assassin in another still (above), wearing the trademark Assassin hood. And given how the games feature rich historical settings and monuments like the Florence cathedral in Assassin’s Creed II or the Hagia Sophia in Assassin’s Creed Revelations, this upcoming movie could certainly be an epic with some beautiful views and great action sequences. Plus, the modern day sequences with Fassbender’s present day character Callum Lynch could add some interesting twists and turns and shed light on Assassin Aguilar’s past life in Spain. And while it is logical that expectations are not sky-high for this film, taking into account how poor the average video game movie adaptation has been, perhaps Ubisoft can get everything right and produce a movie that does their Assasin’s Creed games justice, and is also a good film in its own right. 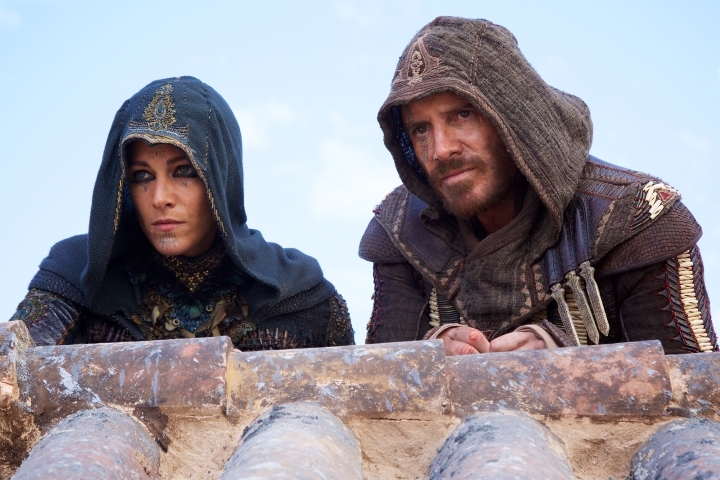 Note: The Assassin’s Creed movie will hit the theaters on December 21, 2016.